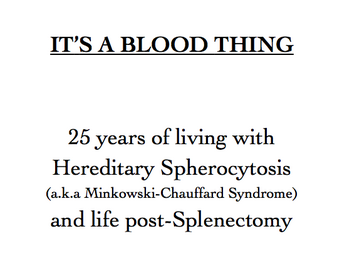 A 16-page perzine about Hereditary Spherocytosis - also known as Minkowski-Chauffard Syndrome. 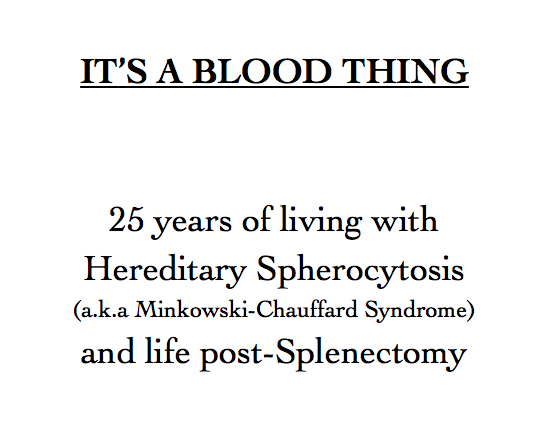 What it is, what it's like to live with - and the resultant Splenectomy I had. 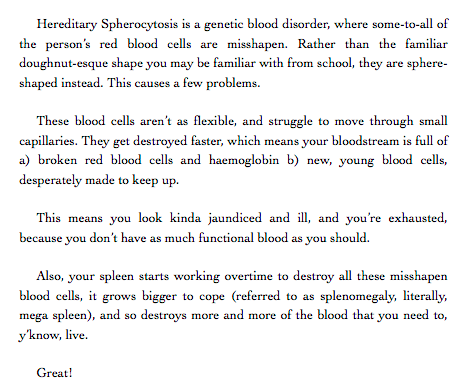 Whilst not intended as a purely educational zine, whenever I searched it out in past years there wasn't much about it besides purely medical texts - so in case anyone is looking for a more frank, personal discussion of what it's like, here you go. Made for zine jam 2018. This is really fascinating, and I'm glad you're feeling better! 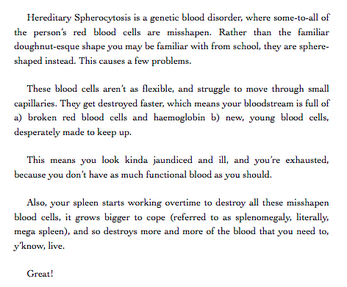 I have learned so very much about spleens.